NEW HEAD: Jennifer Cromarty will become the new chief executive officer of the Committee for Geelong. A Geelong publicist who advocated for politicians and retail and golf bodies will head a local lobby group following an announcement on Tuesday. Jennifer Cromarty would commence as chief executive officer of the Committee for Geelong in March, its chairperson Dan Simmonds announced. “Jennifer was the outstanding choice for this role, not only as a passionate and actively-engaged member of the Geelong community, but also with her strong business experience and networks,” he said. Before accepting the role with the committee, Ms Cromarty was a registered lobbyist, operating her own consulting company tandemVox, and sat on several local boards and committees. She also has experience working with Australian Retailers Association as a corporate affairs director and deputy executive director. 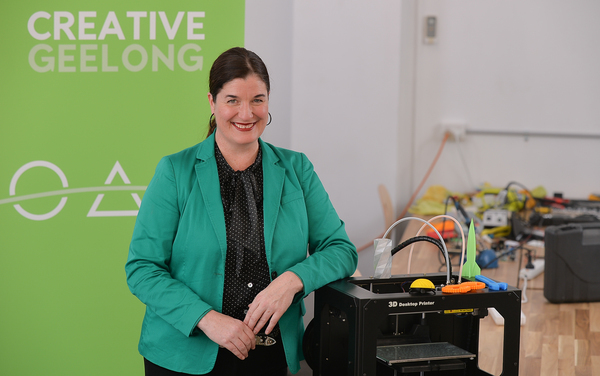 In 2015, Ms Cromarty also founded Creative Geelong Inc to highlight the importance of creative industries in transforming Geelong’s economic future. “I am honoured to support Geelong as it reaffirms its place as a globally significant city,” said Ms Cromarty.